Colorado’s-own Peach Street Distillers has had a full rebranding that will give all of its 25 craft spirit brands a cohesive look and feel, including a new website and digital/social components. 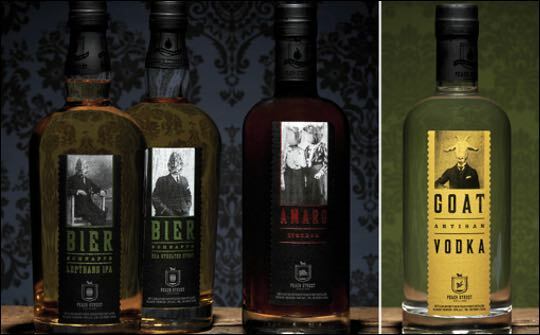 The rebranding was created by Peach Street Distillers’ creative agency, Red Tettemer O'Connell + Partners (RTO+P). 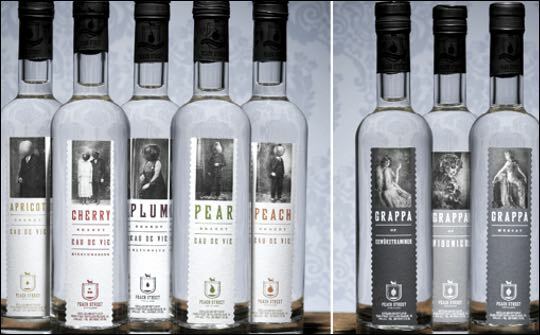 With a new tagline ‘Colorado Made by Colorado Folk’, Peach Street Distillers’ new look will highlight the story of how a passionate few turned Palisade, Colorado’s legendary local fruits and grains into a family of spirits. Founded in 2005, Peach Street Distillers are a band of misfits making unreasonable spirits the hard way. From Colorado's first Bourbon to their well-known Goat Vodka, Jackelope Gin and craft grappas, brandies, and a Rarer Air bier schnapps, Peach Street’s spirits are made with fruits and grains from local farmers. “After 10 years in the making, we couldn't be more excited about our new look and feel. This launch isn’t just about us; it’s about our community, growers and the amazing agriculture we are able to utilise to create our spirits. RTO+P completely understood this and with this rebrand gave our spirit family life,” says Moose Koons, sales manager at Peach Street Distillers. In addition to the rebrand, Peach Street Distillers is launching the first special edition flavour of TuB Gin – RTO+P’s very own gin brand – called Hopped Plum. This new flavour starts with the original citrus-forward gin and is married with Palisade Plum Eau De Vie and macerated Colorado Hops, for a hoppy, softly spiced smooth spirit. This spring edition of TuB Gin kicks off a quarterly new flavour launch to coincide with the seasons. Red Tettemer O’Connell + Partners (RTO+P) is an independent full service agency with offices in Philadelphia and Los Angeles. RTO+P’s clients include Under Armour; Planet Fitness; Dockers; Century 21; Morningstar Farms; Swarovski; The Honest Kitchen; Dial for Men; Coty Brands; Fox Networks; T. Rowe Price and TuB Gin.